GOOD news for Parents, Students, Tutors & Tuition/Coaching Centers. A much needed, one of its kind online service – www.Tuikart .com has been launched for the benefit of millions of students seeking education/Learning through coaching and tuitions. This is going to be a single largest tech based platform where one can find Tutors/Tuitions or Coaching from all spheres of learning, be it Hobby classes, Regular subject wise tuitions, Home Tutors, Mobile/Laptop repairing, Language learning, Music/Dance/Yoga to IAS/PCS or BCA/MCA. 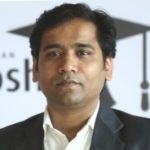 Co-founder & CEO, Piyush Jaiswal firmly believes that tuition has become quite heavy on parents pocket and by Launching Tuikart “Pay Per Session” somewhat we are trying to take the supplementary education to every household and also making it affordable for the Students who cannot pay huge monthly coaching or tuition fee. This service will provide the much awaited relief to the Parents and Students searching for Coaching/Tuition or Home tutors. Tuikart will help them to search & choose the best neighborhood Tutor/Coaching or Tuition where they can book a class or session on Pay Per Use model. With Tuikart.com Student/Parent can also compare all the aspects of Tutor/Tuition/Coaching like experience, rating, or fee charged per subject for their Academic, Competitive, Professional, Hobby or any Learning related requirements. Tuikart also solves the major issue of tracking student attendance and their progression after joining a particular coaching or tuition, adds Piyush. “This will also be a welcome break for Tutors/Tuitions & Coaching Centers”, says Manish Arora, Co-Founder & CBO of Tuikart, “We have introduced a hassle free and time saving facility through our Geo enabled online Portal www.tuikart.com where they can register for free and create a detailed profile, showcasing their experience, USP & past achievements which, we are sure, will increase their chances of getting work acknowledgement hence attracting more students”. Piyush Says, with Tuikart we see educationist in every person be it a House wife, Professional, Student or Retired person having a flair for teaching by taking classes as per their convenient time where they can become a problem solver, counsellor or a part time teacher for a particular subject or hobby for millions of Students looking for a particular solution.